It’s officially been a decade since Alessandro joined Origo Branding. And he’s been leading us in great directions ever since. He’s played a critical role in leading the growth of our agency’s client roster – which now ranges from Fortune 500 companies to nonprofit organizations. In his time here, Origo has consistently been recognized for its exceptional creative work. But, more importantly, he’s made huge efforts in leading Origo toward becoming an outstanding community steward through ongoing support of philanthropic and nonprofit organizations. We’ve come a long way since first opening our doors in 1985. 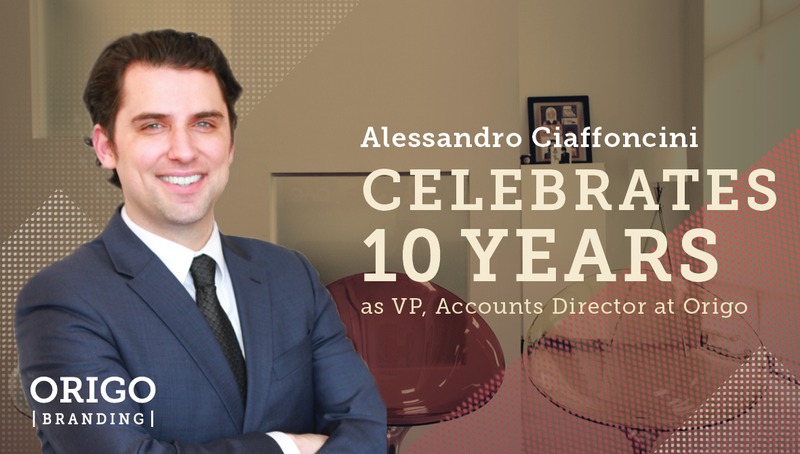 We’re very proud of Alessandro’s achievements over the past ten years. And we can’t wait to see what great things the next 10 bring.